What a marvellous country I live in! It’s hard to imagine a more beautiful place than the West Coast…unless maybe it’s the East Coast in July. A whirlwind tour of Nova Scotia and Prince Edward Island made me want to come back to the Maritimes when I can spend more time. Although ‘down-easters’ will tell you that any place in the Maritimes is ‘about twenty minutes’ away, the fact is that most places are within a few hours of each other so it’s possible to cover a lot of territory in a few days if you travel by car. This ten-day junket included Halifax, Lunenburg, Peggy’s Cove, Digby, Cape Breton and much of Prince Edward Island. 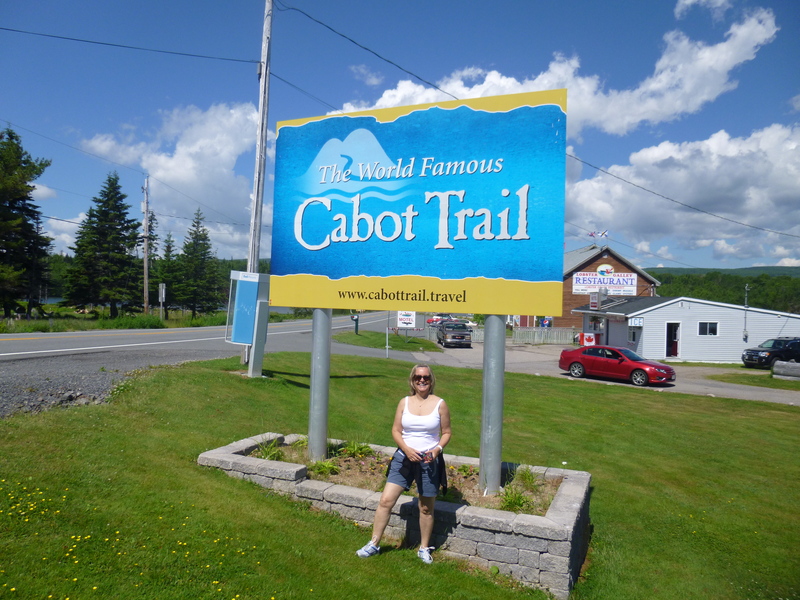 First stop…Cape Breton and the Cabot Trail. 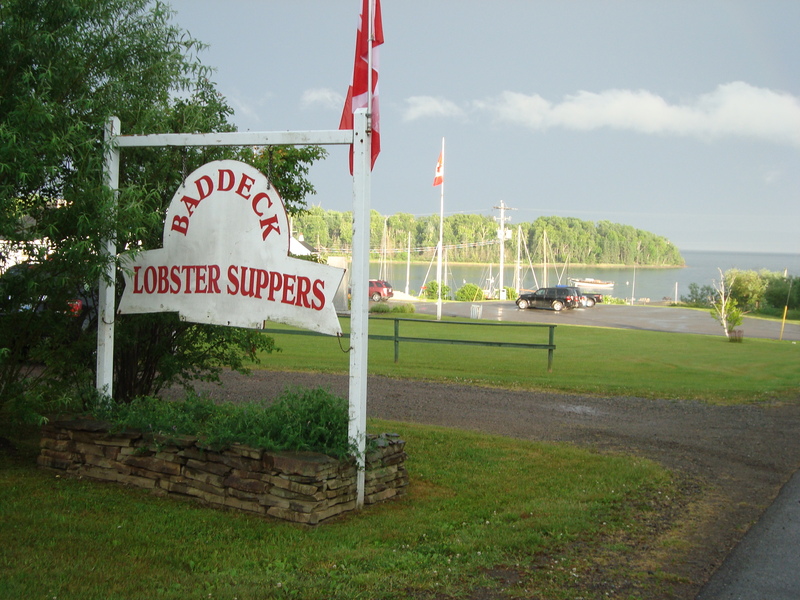 Baddeck is a great jumping off point for a tour of Cape Breton and the Cabot Trail. 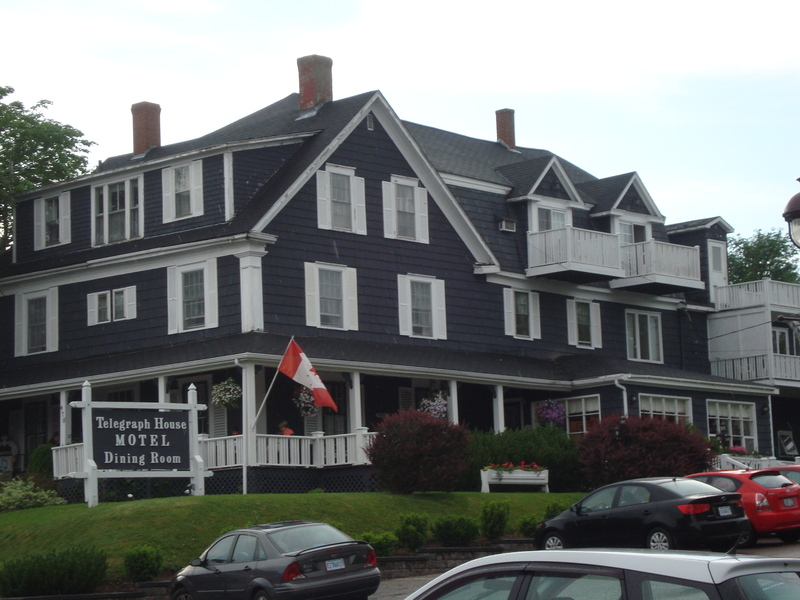 Alexander Graham Bell was said to have stayed at this period B & B from time to time. This is the view from one of the many quaint B & B’s that line the shore. 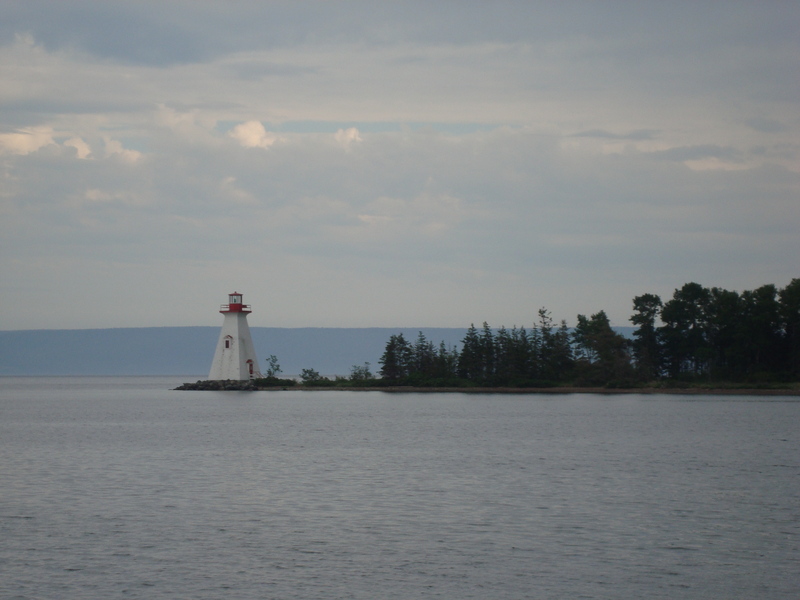 Lighthouses are prolific in the Maritimes – a much loved icon of communities that relied on the sea for their existence. 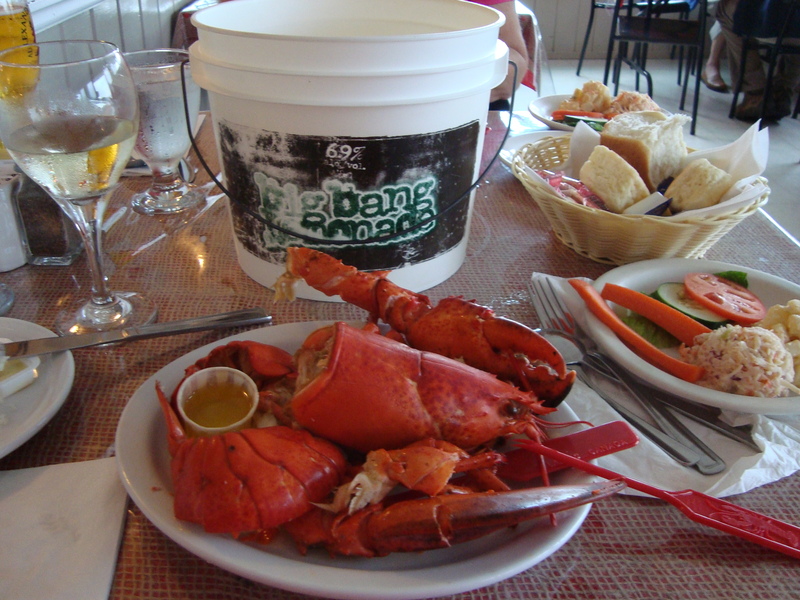 No tour of the Maritimes is complete without a Lobster Supper….the first of many happily consumed over the next ten days. Cape Breton is known for it’s music. It seems that no matter where you are in Cape Breton you are never more than a few blocks from the site of a ceilidh – pronounced “kay-lee” – where local musicians gather each evening to rock the house with celtic music. I came away with the impression – probably close to accurate – that every kid raised on Cape Breton has grown up playing the fiddle, guitar, accordion, piano or celtic drums and often without formal instruction. This is, after all the birthplace of the Rankins, and would-be musicians come from around the world to live and breathe celtic music and culture. 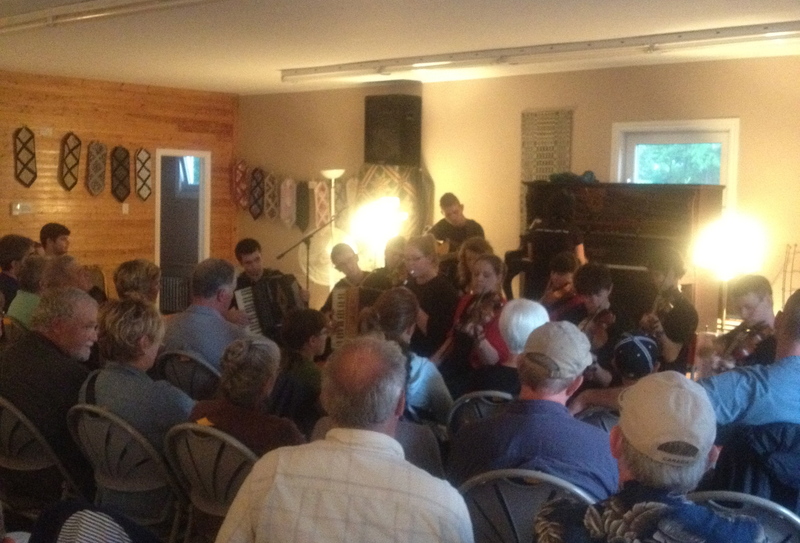 A visiting ‘celilidh group’ from Culloden, Scotland were among the musicians at this ceilidh in Baddeck. No reservations necessary. Just drop in and make a donation. 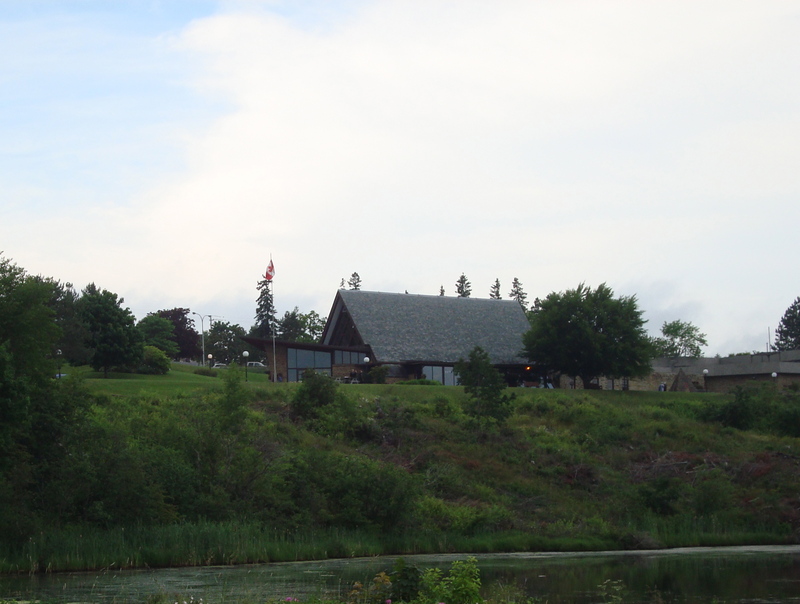 Alexander Graham Bell, the inventor of the telephone, lived in Baddeck and the museum that celebrates his life and work is quite astonishing. He was a serial inventor who experimented with everything from submarines to respirators long before such things existed. Well worth a visit. 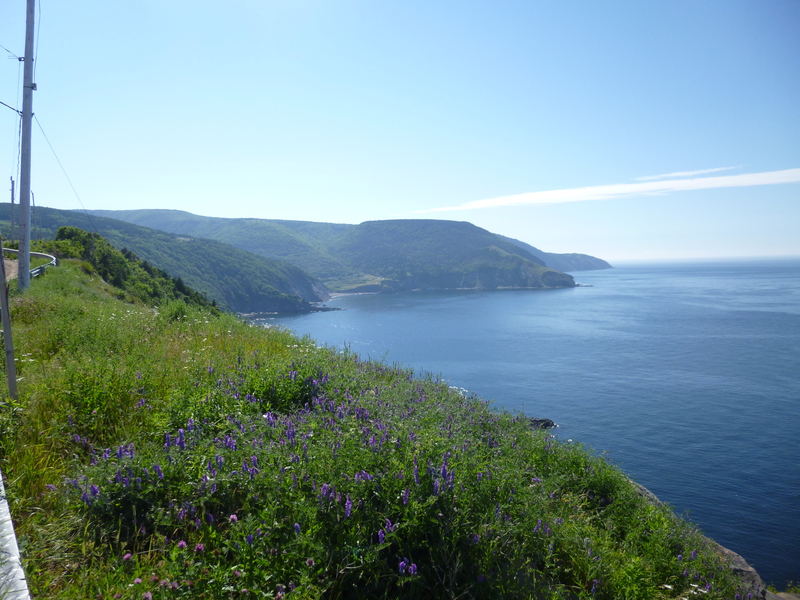 There is no ‘ideal’ route for seeing Cape Breton although most tourists head to the west coast, circling down on the Cabot Trail along the east coast of the island. The two coasts are remarkably different – each with it’s own character and geography but all wonderfully wild, picturesque and quaint. Heading into the sunrise from Baddeck takes you up the east coast to places with lilting names like Ingonish, Cape North, Jumping Mouse and Money Point. 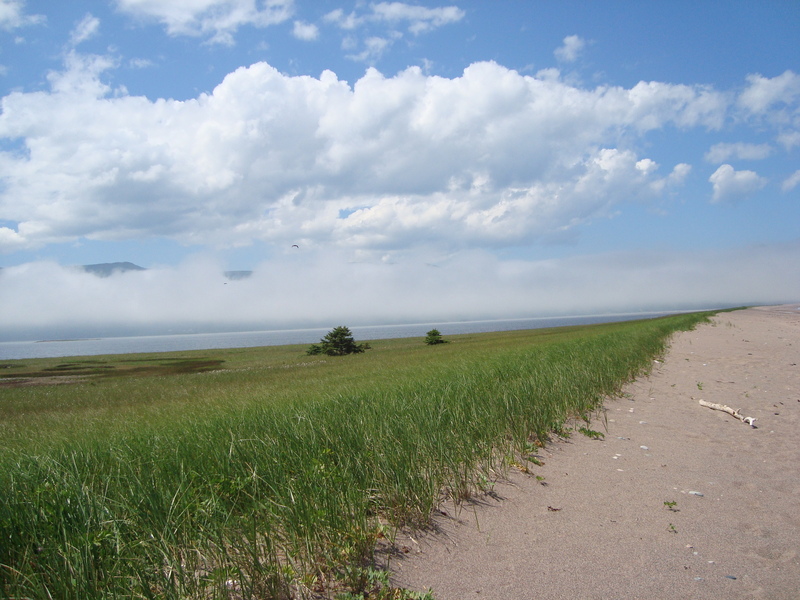 This spectacular sweeping sandbar stretches across Aspy Bay from Dingwall to Sugar Loaf, on the east coast of Cape Breton north of Baddeck. Bay St. Lawrence and Money Point. 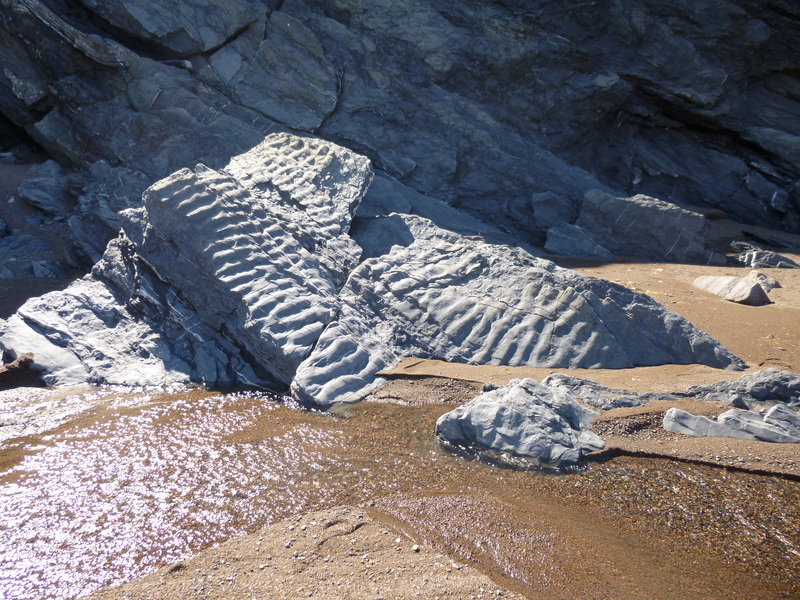 A french galleon was wrecked here and for years after gold coins washed ashore – hence the name. 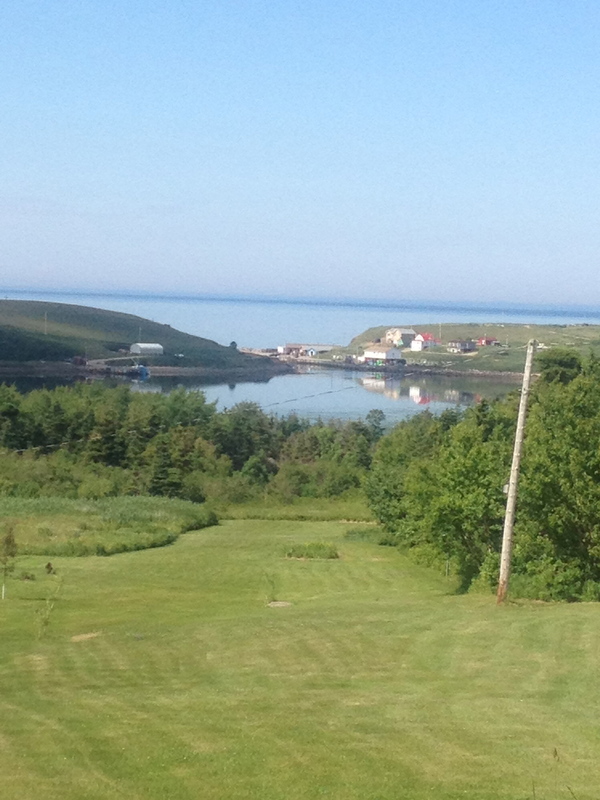 The Cape Breton coastline is littered with gorgeous coves, bays and harbours. 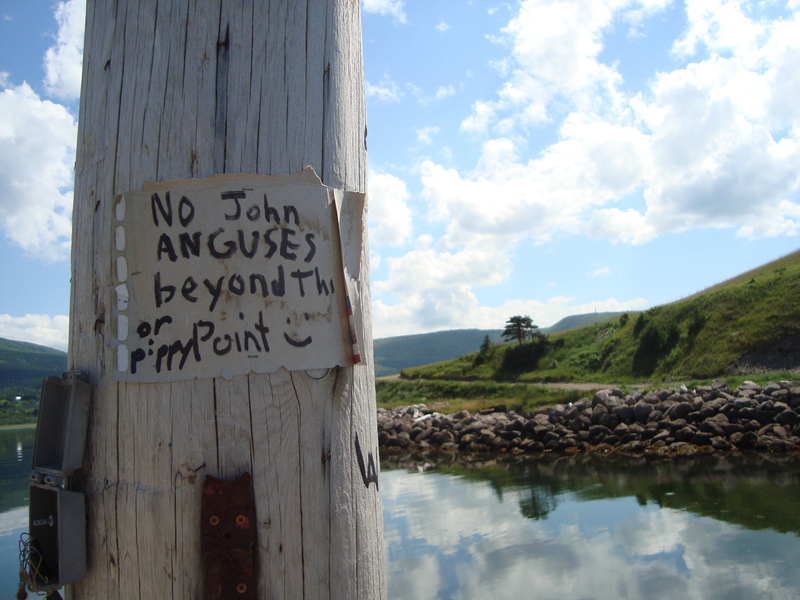 Glad my name isn’t John Angus and I wonder what the story is behind this official looking notice posted at the inlet into Money Point. World-famous Cabot Trail. One more thing off my bucket list. The man himself – sort of. An Italian explorer who, sometime in the late 1400’s discovered “the land of America”. 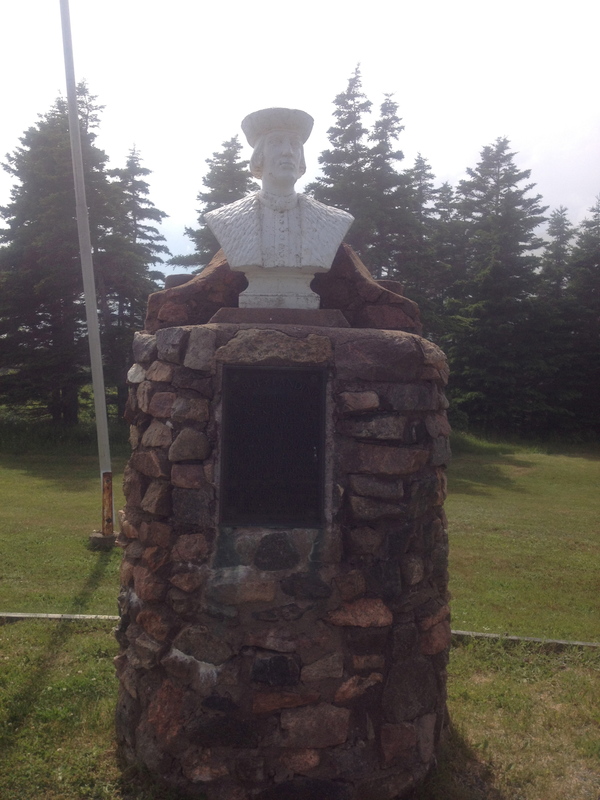 This monument is at Cabot Landing Provincial Park. 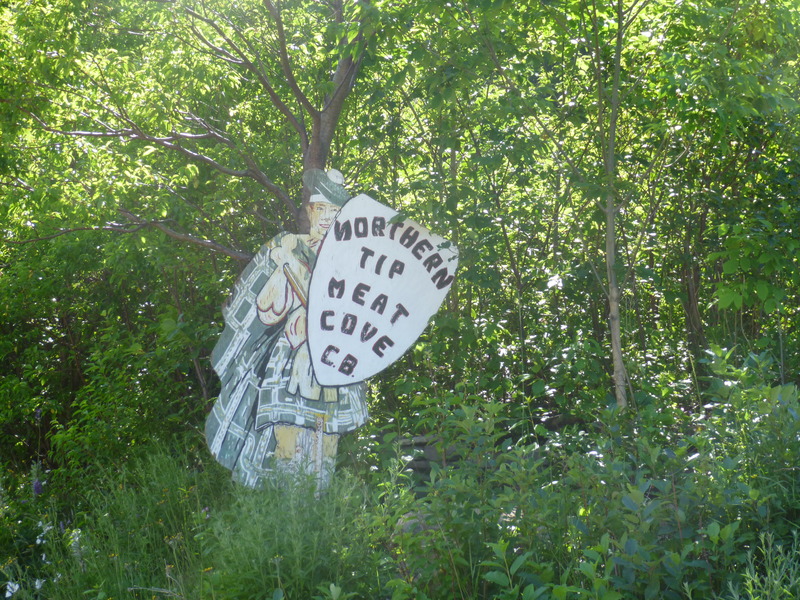 Meat Cove is the end of the road – as far north as you can go on the east coast of Cape Breton. Fishing fleets came ashore here to catch moose and sailors downwind could smell the roasting meet from miles away. Every place name in Cape Breton has a story. 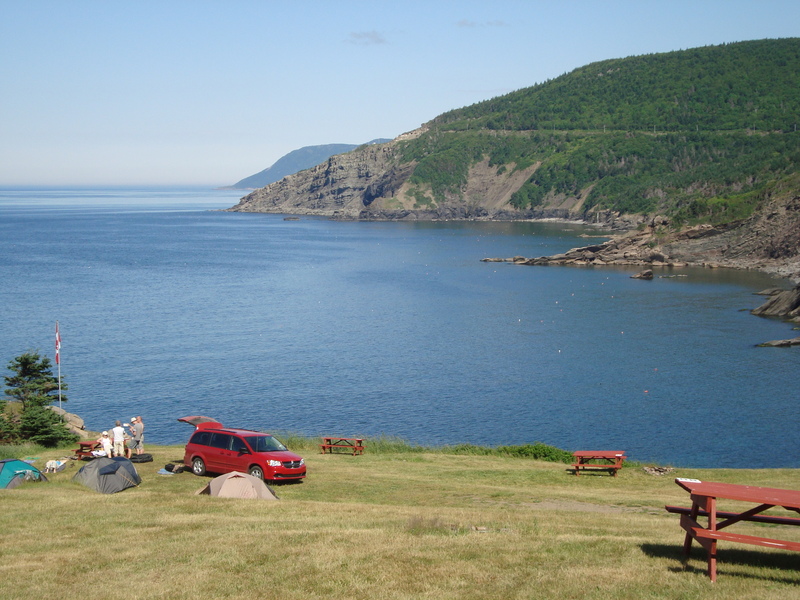 A tenuous looking campsite on the bluffs overlooking Meat Cove. This is looking back on the road into the cove. There’s not much here when you do finally arrive but the road in is spectacular, if not for the faint-hearted. When I come back to Cape Breton, as I surely will, I will make plenty of time to hike the beautiful trails that zig-zag the Highlands above. An excellent illustration of the power of the ocean and the erosion that has, over eons carved away the bluffs and cliffs forming the many stunning coves and bays along this coast. 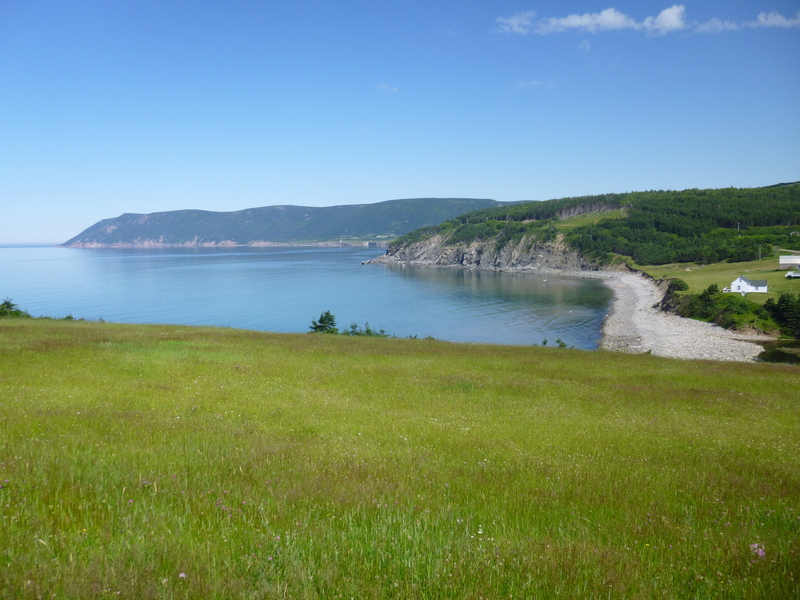 The west coast of Cape Breton is one of contradictions from the high, remote passes through the Highlands in the north to the civilization of gas stations (thankfully), golf courses and (happily!) 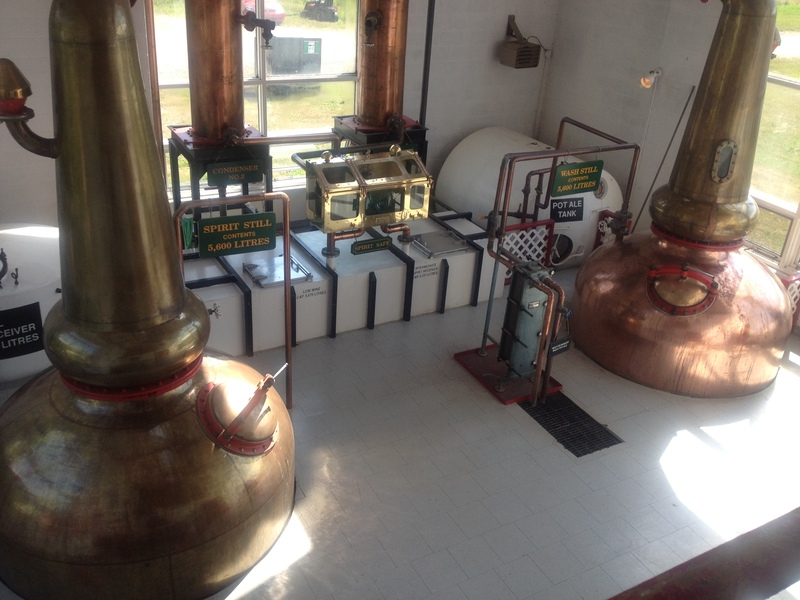 a distillery in the villages of Cheticamp and Inverness in the south. The steep bluffs that border the Highlands of the west coast of Cape Breton. This is a heart-stoppingly beautiful section of the Cabot Trail that is often shown in promotions of the area. One of the many inviting but remote beaches along the west coast. In the foreground the dunes that ring the gorgeous beaches of Inverness. 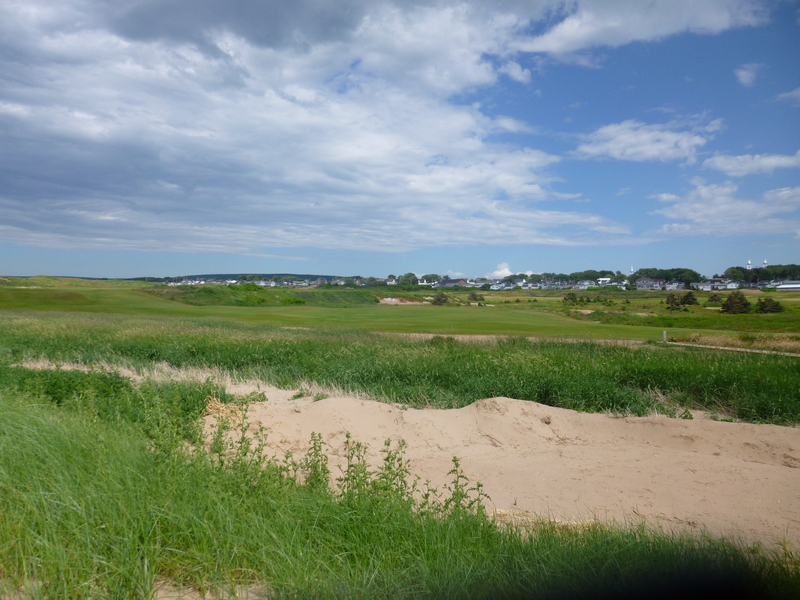 The town of Inverness in the background and behind the dunes a spectacular new golf course – Cabot Links. This high-end, links-style course was featured in the New York Times and is rumoured by the locals to have a wine cellar worth millions. I would love to golf this course some day. 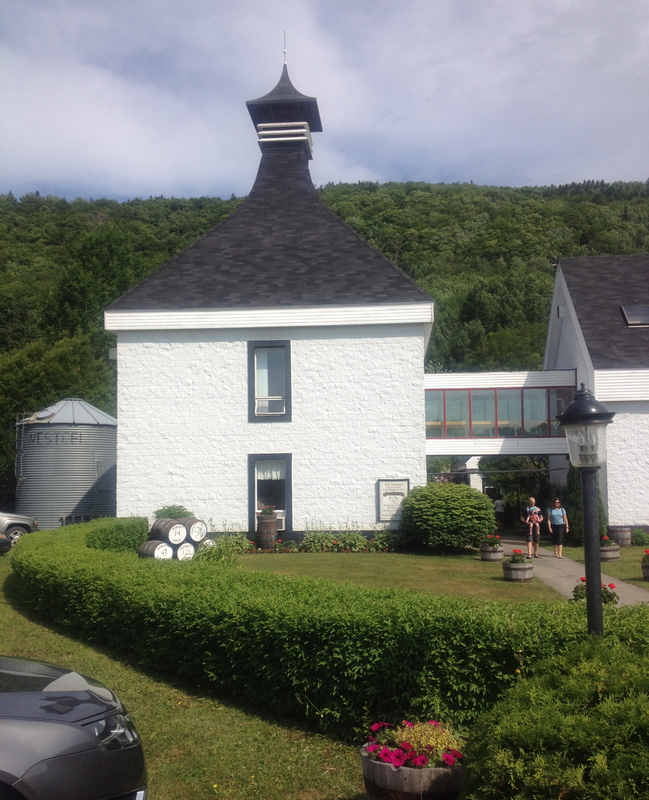 All the talk of golf and wine cellars made me thirsty so you can imagine my delight at finding Cape Breton’s distiller of single malt whisky just down the road from Inverness. 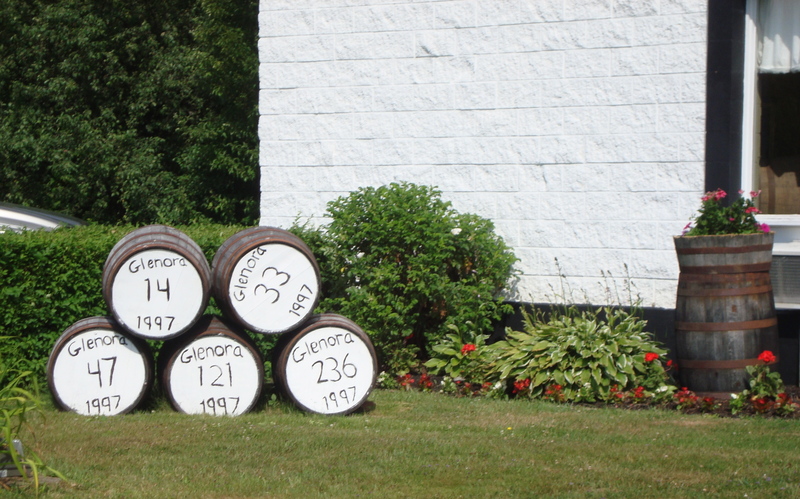 Glenora Distillery not only produces pretty fine scotch but their inn and restaurant were a real find. The restaurant, not surprisingly features a number of barley dishes. I felt extremely fortunate to have finished the last day on Cape Breton in the pub listening to two incredible musicians belt out celtic tunes on the fiddle and piano. The pianist was classicly trained and had been successful in that genre when he spent a summer in Cape Breton and was hooked on the unique music style. Just watching him get reeled into the melodies – both pounding and lilting at the same time – was a sight to behold. I’ve decided to take up the piano. I’d recognize a shabeen anywhere! A sight for sore eyes at the end of a spectacular day on the road. Cooking the lovely liquor. 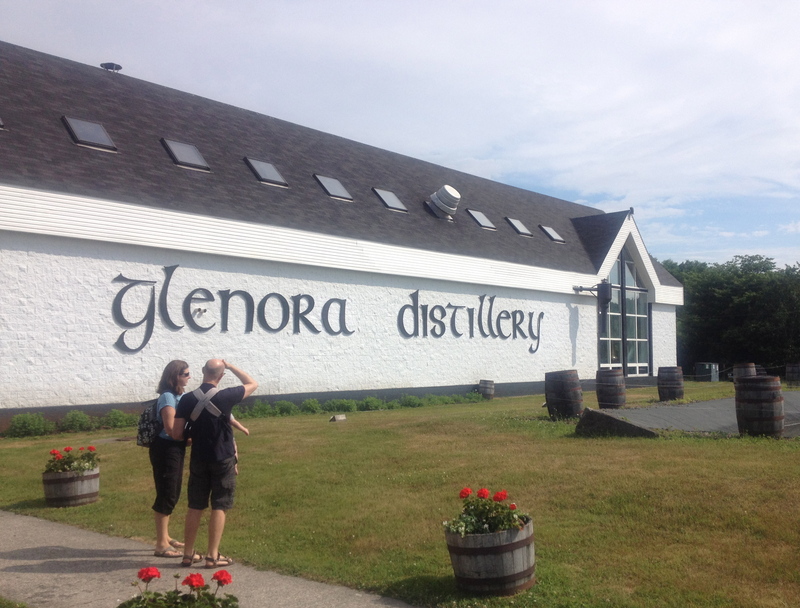 “Terry” at Glenora gave us a great tour, very informative – especially if you are a lover of single malt scotch whisky – and happily ended the tour with samples all around. The fifteen year particularly tasty. This time on Cape Breton was far too short but has served to plant this stunning and unique corner of the world fully on my “see you later!” list. I will be back to pitch my tent at Meat Cove, walk the Highlands, lay for long afternoons on beautiful beaches, golf Cabot Links and perhaps play the piano at a ceilidh. Farewell to Cape Breton. awesome photos – great commentary. Thanks for sharing your adventure.